Every Monday evening this amazing event takes place from 19 to 23 o’clock in the “centro cultural Konex”. 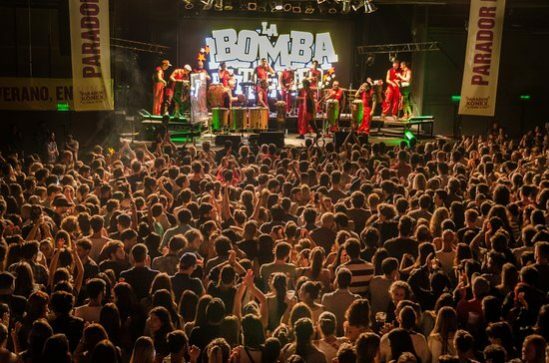 It is a drum show (all improvisation) and an absolute must-see in Buenos Aires! You can buy tickets online in advance for 230ARS but you have to print them out. Doors open at 19.00hs and you can also get tickets directly there for 230ARS. The show starts at 20.00hs. How to get there: The nearest subte station is only three blocks away. It’s the red B line, “Carlos Gardel” station. Other options are to take a collectivo or a taxi. The address is Ciudad Cultural Konex, Sarmiento 3131, CABA.